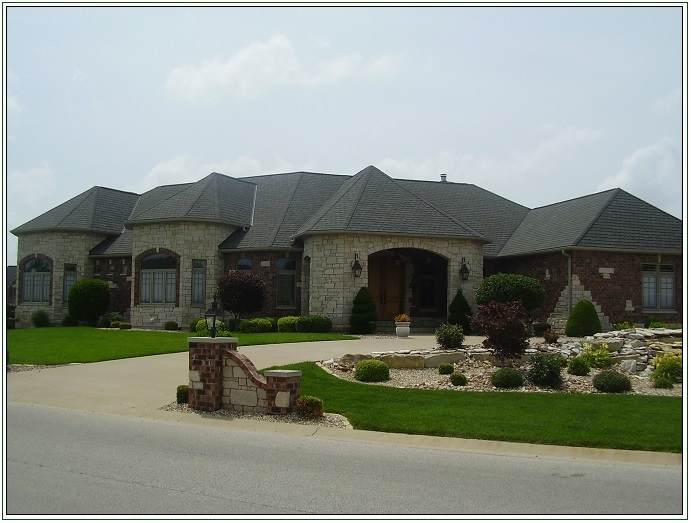 Recently, we’ve completed multiple appraisals of very large homes. Valuing homes that are more luxurious than those found in most neighborhoods can present quite a few challenges, so that many appraisers steer clear of these assignments. While our firm is always willing to accept such projects, they do present their unique complications. Before we begin our comparable sales research for such an appraisal, we must determine what the market is for that exceptionally large home. If the home is in a very rural area, this can be difficult, as there may be no recent comparable sales in that entire county, perhaps not even in any adjoining counties. In that situation, we must look for sales in other areas that have similar proximity to employment centers, or use what sales we have and make adjustments for differences in these items. Further complicating the process, 5,000-plus square-foot homes are custom built in most situations. That means that the people who commission these homes to be built usually plan to occupy them for the foreseeable future with no plans to sell them soon. Therefore, there are few sales of custom-built homes less than 10 years-old, and sales of brand new structures are nearly non-existent. I have seen them, but other factors often make them poor comparable sales: perhaps the home sold because the owner died or was divorced, or due to financial duress, or any of several other factors. Finally, such large, custom-built homes commonly possess “unique features.” After all, it is human nature to want something unique, so I can’t fault homeowners for wanting to put their fingerprints on a custom residence. But it does complicate the valuation, especially when the feature is very rare or not commensurate to the quality of the rest of the home. Examples could include use of reclaimed lumber for finishes, incorporation of precious metals into fixtures or finishes, or items built into the structure because of their sentimental value to the owner. Some of the most interesting features that I’ve seen include a large, built-in, indoor pool; a home where the corners of the foundation had intentionally been rounded, poured by using single-use concrete forms custom designed for the application, topped with brick; and an owner who removed flooring from a previous structure and installed it in the new structure (citing sentimental reasons), even though the flooring was of much lower quality than the rest of the structure. Many residential appraisers will automatically accept any assignment brought to them. But if they arrive at the property, and it looks like a large home requiring them to spend more time on the appraisal, those appraisers call their clients and cancel. In fact, I recently completed an appraisal of a property where the owner told me that his lender had sent out three different appraisers during the past year, and each had looked at the home briefly before withdrawing from the assignment. This not only made those appraisers look bad, but as they had been hired by the lender, their inability to follow through on their commitments also reflected poorly on the lender. But when you engage Spurgeon Appraisals to value a very large home, you are hiring an appraiser with the experience to complete the appraisal, and our experience and Copyright © 2017 Spurgeon Appraisals, All rights reserved. professional service will surpass your expectations.